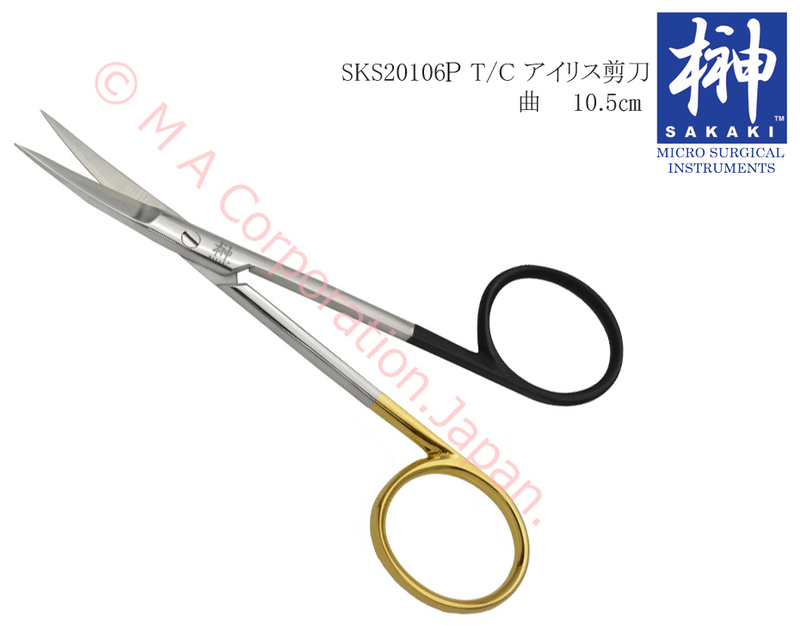 “Tungsten carbide inserted tip and Super-Cut blade” provide a nice grip during operation ー Sakaki TC Super-Cut scissors – M A Corporation. Japan. 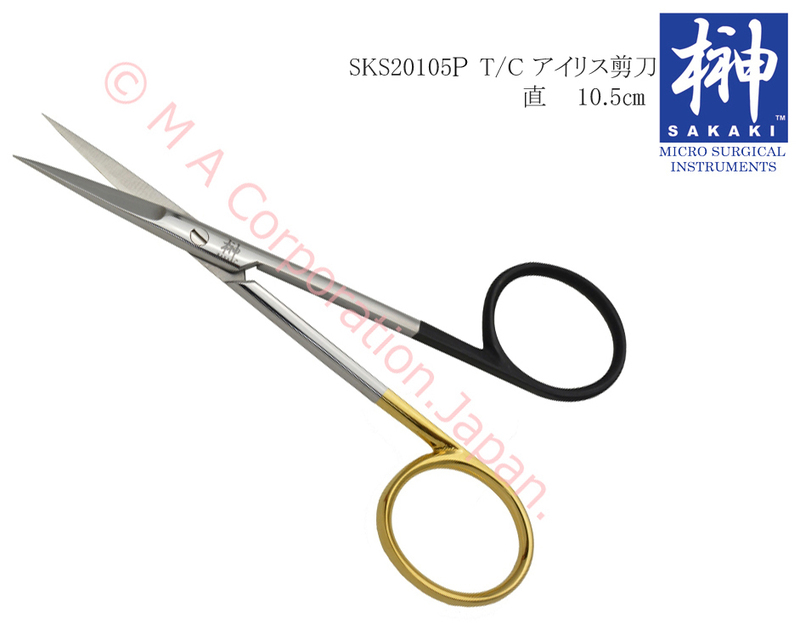 Sakaki Super-Cut scissors are available straight and curved models with one serrated blade used for trimming tissue or cutting sutures. Sakaki Super-Cut allow extremely smooth cutting of fine and coarse tissue with reduced trauma and sharpness with opposing blade finished with fine serrations to avoid tissue slippage. Made by special high-tempered surgical stainless steel SUS402 to provide longer-lasting cutting edges, enough corrosion resistance with a long life.